School is officially underway. As I sat in my 2nd Curriculum Night of the week, I breathed a bit of a sigh of relief. It’s my 3rd year in both my daughter’s elementary school and my son’s middle school. I know the routine. I understand how the special ed program at the middle school is supporting my son’s IEP and how it ties in with our Autism program at home. Next year, more heavy lifting as my daughter enters a middle school I don’t know (as my son is at a different school that has an Autism program) and my son enters high school. Yikes! The topics I blog about often focus on how I manage our family calendar. More and more, I’m trying to teach my kids how to manage their own schedule. It’s a skill they need to learn. And as I shift responsibility from me to them, it helps me focus more on my career as needed. This year, my son is on the tennis team for the first time. Instead of emailing the coach for the schedule, I’ve been pushing my son to bring the schedule to me. This has been hard for me. After 2 weeks of practice, tournaments had to be starting soon. But I trust my son can problem solve if something goes wrong. Well, we tested that today. OK, I admit I felt some panic first. 🙂 But logic quickly found me and I thought: “the first tennis tournament is today”. 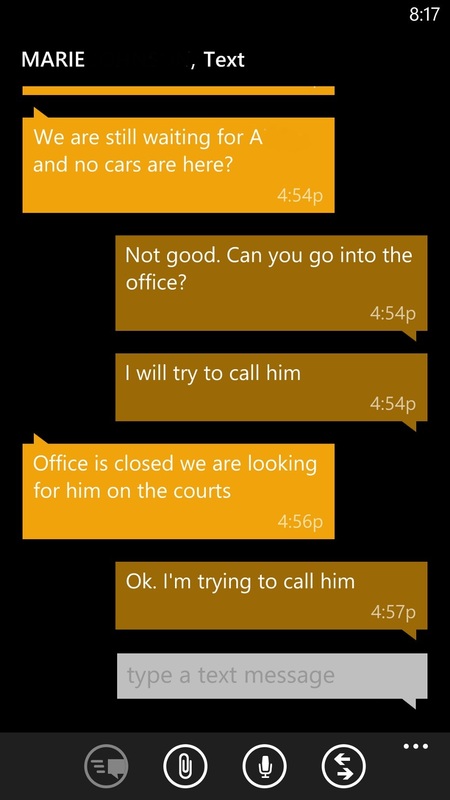 My resilient babysitter found someone and got the information on which school the tournament was at. It happened to be the school closests to where I was so I headed over. When my son and I got home, we put the tournaments into our family calendar so he could see it on his phone and we talked some more about why he needs to show me papers from school — an ongoing problem that I think MANY parents face. Needless to say, it was a rocky afternoon but mistakes are moments we learn from. I think my son understands the worry he caused. And if his current track record is a good indicator of the future, he won’t make this mistake again. 🙂 And we’re now set up to manage the crazy logistics of the tennis team schedule. Posted in Autism.Tagged autism, Calendar, parenting, tennis, time management.